Meet your Coach. 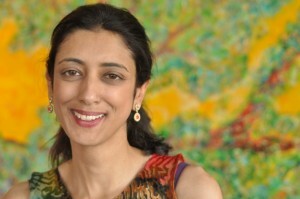 Vandana is passionate about transformation and helping people creating shifts in their lives. She has a calm presence and an ability to create space with whatever is happening. Her generous listening skills combined with her deep presence allow the client to get to core of the problem, potential or concern quickly and easily. Vandana started her career as scientist earning BSc (Hons) MSc degrees from the University of London, UK then a PhD from the University of Cambridge, UK. She has worked in her career as a medical research scientist and as a faculty member at the University of Michigan, and is now happily directing people towards their most fun creative selves as a coach.